In my interview with Dr. Stan Monteith of Radio Liberty on November 2, 2011, I reported on the challenges facing Canadians, and of several Canadian success stories of political activism since my first interview with him on September 22, 2010. I alluded to a dozen major developments, of which I mentioned the three major ones: the planned scrapping of the long-gun registry, the removal of fluoride from the municipal water supply in Waterloo and Calgary, and a majority of eligible B.C. voters voting to scrap the so-called Harmonized Sales Tax imposed upon them. 1) The long-gun registry is set to be scrapped now that the Conservatives have a majority and a bill has been introduced. 2) A sitting Canadian senator and Trilateral Commission member has called for a North American Parliament and a guaranteed minimum wage for all Canadians. 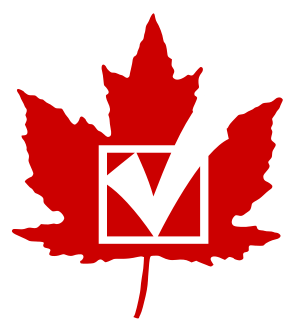 3) British Columbians in a historic referendum vote to scrap their government-imposed Harmonized Sales Tax (The first such vote in the English-speaking commonwealth). 4) Municipal water fluoridation voted down in Waterloo in 2010 and by Calgary city council in 2011. 5) A joint U.S.-Canadian unconstitutional plan to have law enforcement interoperability on the border by 2012. 6) Around a million Americans living in Canada being targeted by the IRS to file their taxes and report their bank account holdings going back several years. 7) Desperate for cash, the U.S. has imposed a new $5.50 entry fee on Canadian travelers. 8) Increasing economic freedom in Canada relative to the U.S., with Canada being rated the best country in the world to do business by Forbes. 9) Incandescent light bulb ban delay until 2014 in Canada. 10) Canadian combat operations in Afghanistan ended in July 2011, all troops scheduled to leave by Dec. 2011. 11) How the U.S. no-fly list became the Canadian no-fly list. 12) Toronto 2010 G20 fallout: Nearly 60% of charges dropped against 1100 arrested.